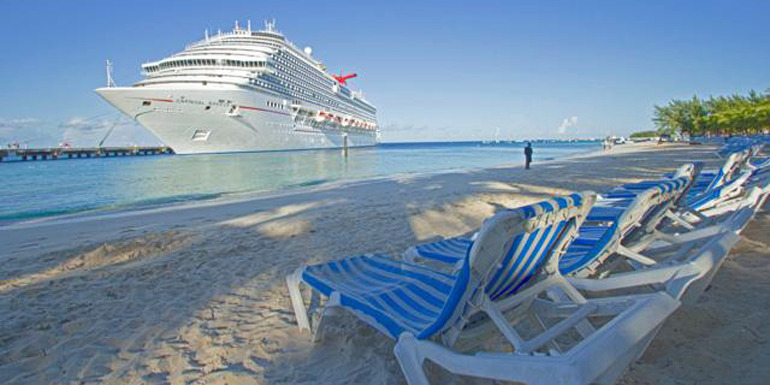 Whether you're embarking on your first cruise vacation or have been at sea before, there are steps you can take to be a better cruiser. We gleaned these tips from talking with hotel directors, crew members, and passengers. 1. Really read the daily newsletter. 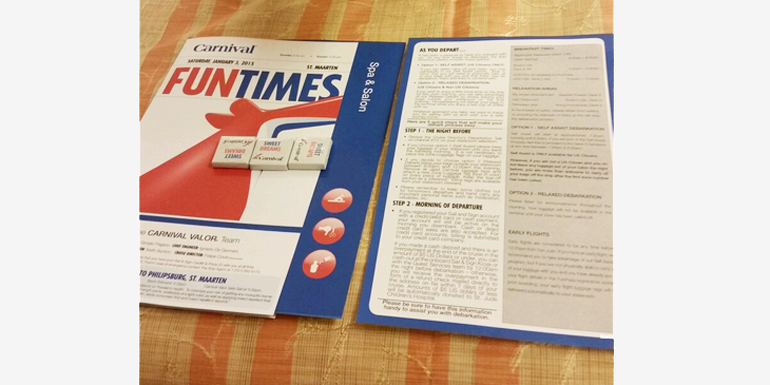 A bulletin is delivered every day to your stateroom. Contained within it are listings of day and night activities. Take a pen and circle the things you really want to do that day, and keep the sheet handy for your reference. It seems like a no-brainer, but apparently, some people don't bother reading what's happening and then are disappointed when they miss something. If there's a shipboard app, download it to your smartphone for easy reference to keep abreast of activities. 2. Prepare for all weather. Your cruise line will post packing tips on its website, which a lot of people glance at and then promptly ignore. The reality is you very well may need a sweater in the Caribbean and sunscreen in Alaska. Follow the advice. Don't assume your Hawaiian shirt and jeans will cover you in the ship's dining room for the whole cruise. Check your itinerary and note the dress code for each night. If you don't want to dress up at all, you can always head to the buffet. You'll also want to check in advance to see if your cruise has a theme party. It's much more fun to attend a pirate bash dressed as a wench or to sport a big hair wig for an '80s party than to show up in civilian wear. 4. Don't miss the sunrise and sunset. Dawn and dusk are wonderful times to enjoy ocean views. There are added advantages to getting up early in some destinations — including Alaska, where you're more likely to see wildlife in the early hours. 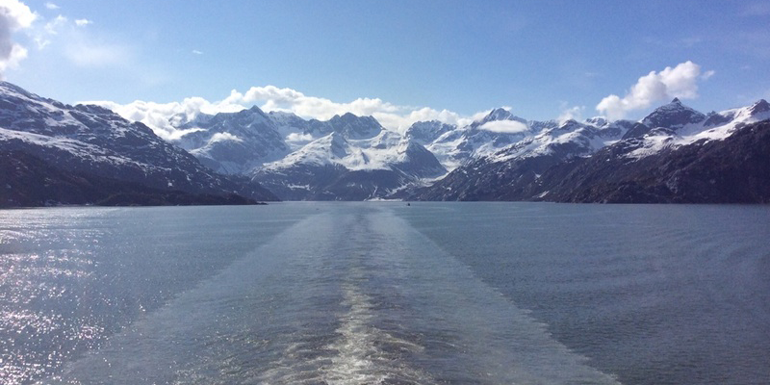 Watch the views from your stateroom or take a 6 a.m. walk on the promenade deck. If you want to assure you don't miss any sunsets, book a balcony or ocean-view cabin. 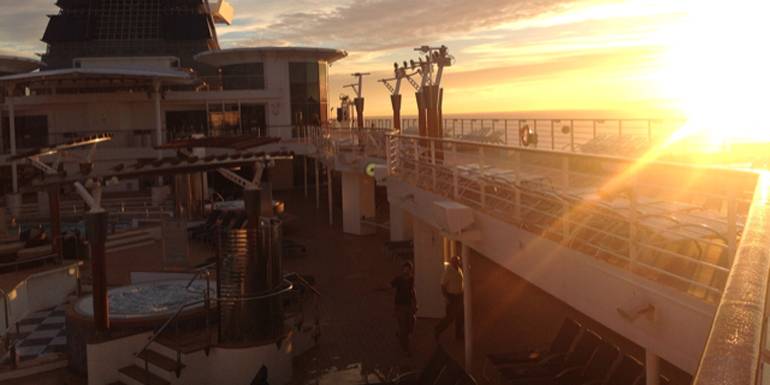 Or plan to be on the open deck to admire the sky — preferably with drink in hand. 5. Go against the crowd. 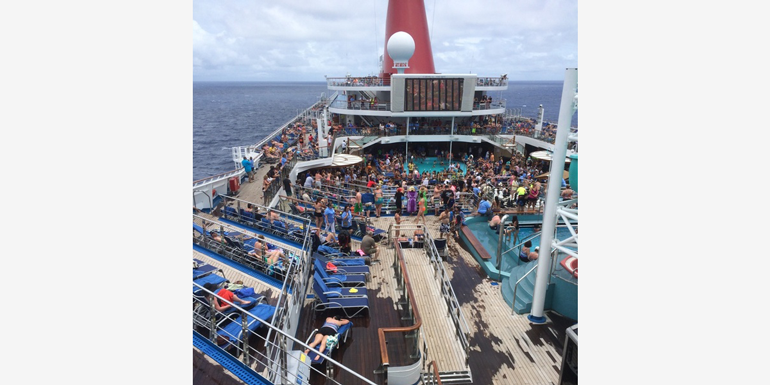 A blissful time can be had on a port day if you don't follow the flow of fellow passengers disembarking and instead stay on the ship, where you'll find quiet space at the pool and in the hot tub. 6. Explore in the wee hours. 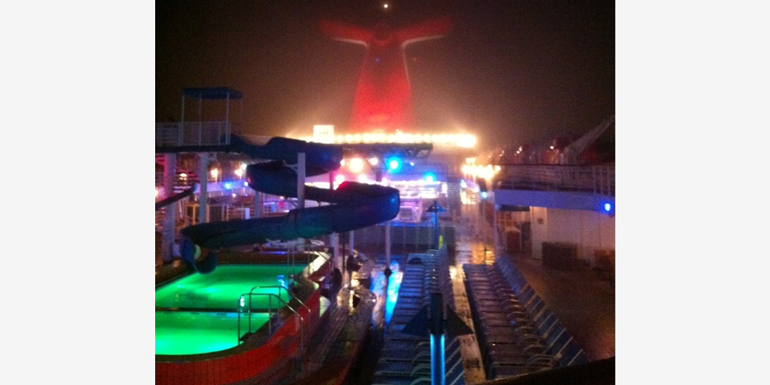 An entirely different shipboard environment exists after 1 a.m., when most passengers have gone to sleep. 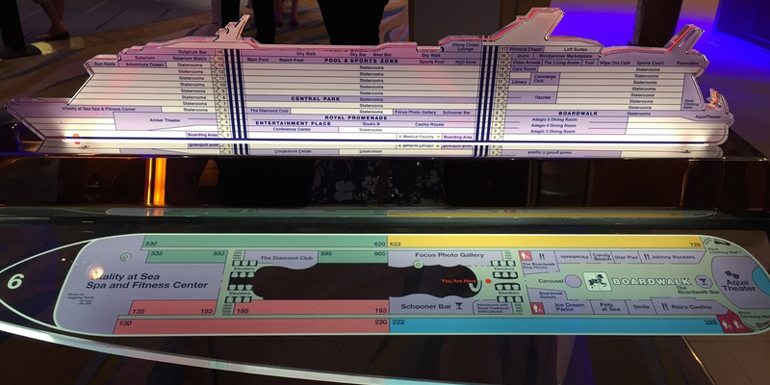 Get to know about shipboard life by hanging out with the musicians and officers in the 24-hour café, or watch stars twinkle from the deserted deck. 7. Pay attention at the muster drill. The idea is safety, not entertainment. Yes, the drills can be tedious, especially for repeat cruisers who have heard them before. 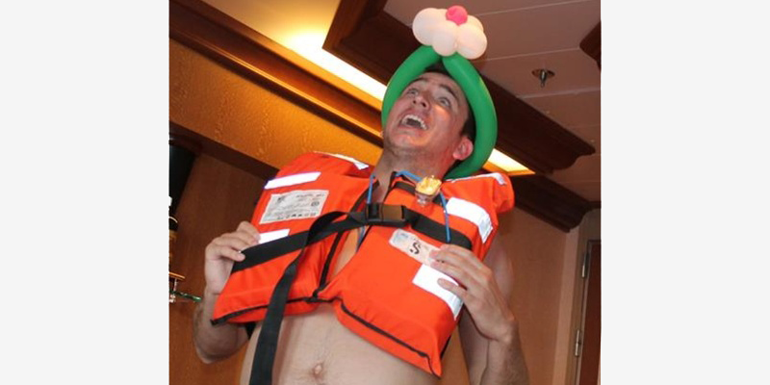 But if there is a time to be serious on your cruise vacation, this is it. Be a better cruiser: Listen and learn. A better cruiser will know his aft from his forward. You can avoid some confusion if you also learn to recognize the starboard (right side of the ship when facing front) and port side (left when facing front). And please folks, it's a ship, not a boat. Just because you're on vacation doesn't mean rules of etiquette go out the window — be courteous to fellow passengers. For instance, it is déclassé to leave your belongings in deck chairs to save your spot (in fact, some lines actually confiscate your items if you try). While cruise lines have been investing millions to make ship Wi-Fi faster and cheaper, it's still a work in progress. Your best bet if you need to get online may come in port, where you can follow crew members — who will know the game score — to a convenient and affordable hot spot or Internet café. 11. Hold onto your hat. When a ship is at sea, open decks can get windy. People lose things. You'll also want to gauge the wind factor on open-air tenders and when walking on busy piers — side-by-side ships can create a wind tunnel effect. 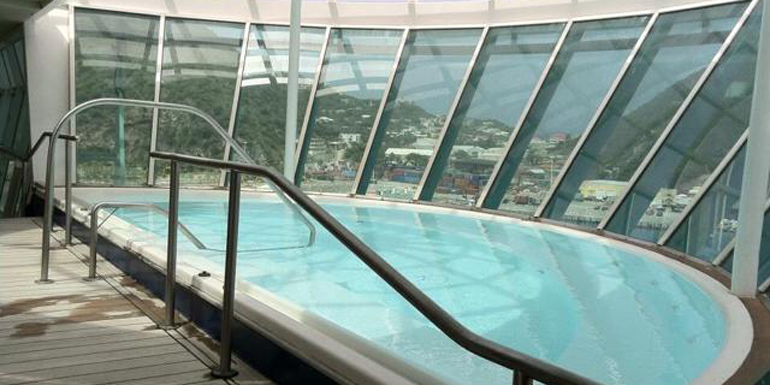 How do you stay on top of your cruise game? Great tips as always Fran! For be courteous, I would say that holds not only for the passengers, but for the crew too! The crew is working hard and it is a shame when fellow cruisers treat the cruise staff improperly. For staying top of our game, we also do some pre-cruise planning research to make sure we have a sense of what the ship is like. 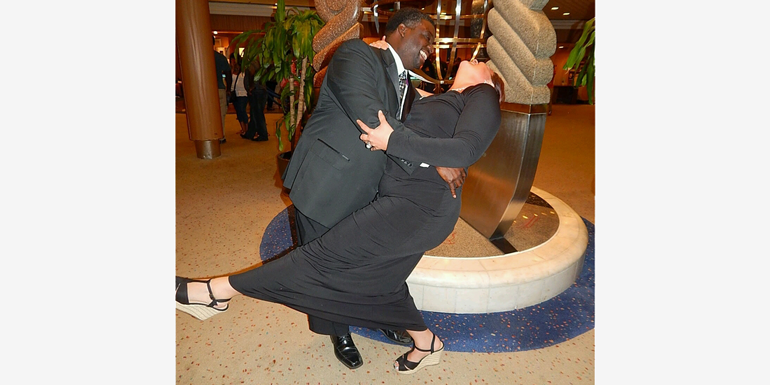 We are never afraid to ask other cruisers their opinions and suggestions. Also, bring a carry-on for day 1 so you can start the vacation right! Happy Cruising! DEFINITELY wear a hat with a cinch cord or that squeezes your forehead pretty tightly. I lost my favorite white Panama overboard one night aboard the Carnival Destiny and although I've bought several since, none were any better made or more pleasurable to wear. Driving and baseball caps seem to be easier to control than full-brimmed hats. Gentlemen, I do not recommend pinning a hat on to your toupee. I agree with going against the crowd on port days and staying aboard the ship IF it's a port you've been to a million times before (like Nassau) or have no interest in seeing what's there because there's really nothing there (like Freeport).